The picture shows a self-portrait by the Dutch artist Rembrandt. 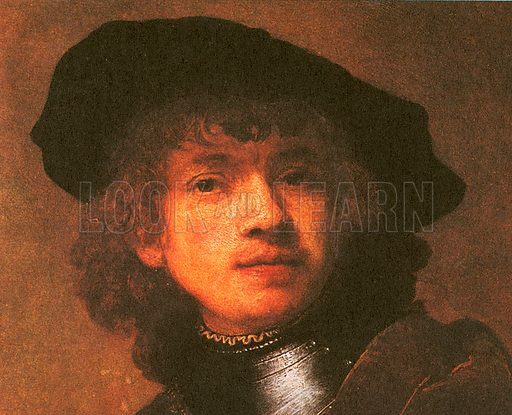 There are about 650 known paintings by Rembrandt van Rijn (1606-1669), of which 60 are self-portraits. At one time there were thought to be as many as 90, but many of these are now believed to be by other artists. Available worldwide for immediate download up to 4,445 x 3,600 pixels.